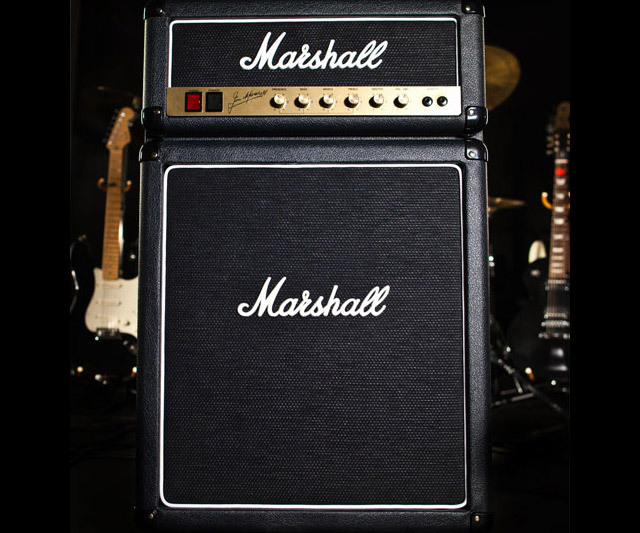 The Marshall amp replica refrigerator, signed by Jim Marshall, emblazoned with authentic Marshall logos, and fitted with a real Marshall facing has a paradoxically acoustic effect: it makes your brews and carbonated shots of caffeine feel chill. 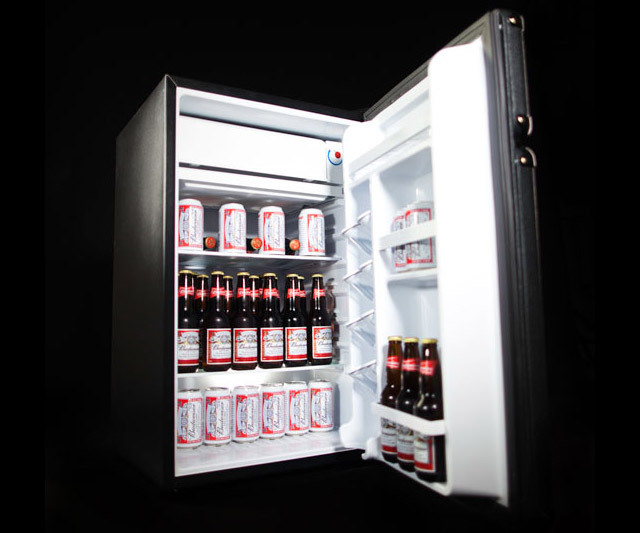 The amplified fridge boasts 4.4 cubic feet of storage space, including a high-efficiency freezer. 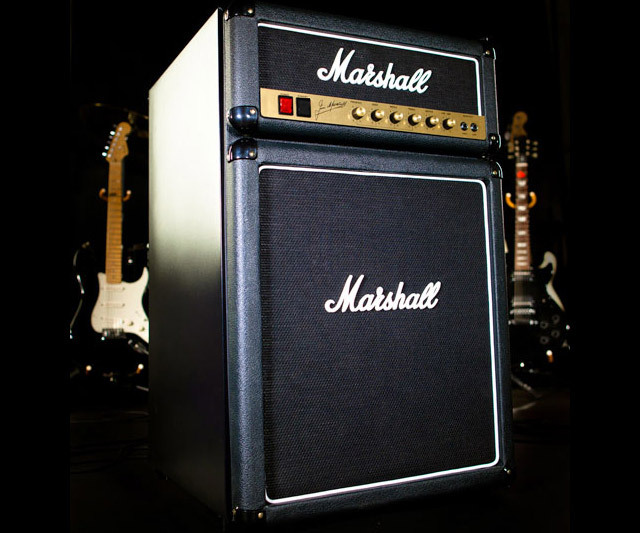 Control knobs go just beyond 10 to 11, because, like music, cold air is best when it's blasted.